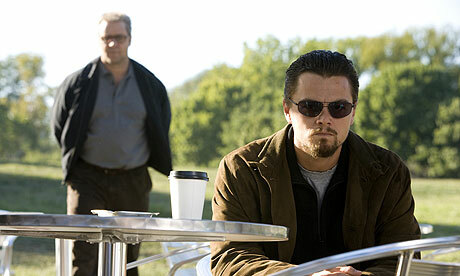 Body of Lies is being promoted with the tagline “From the director of Black Hawk Down and American Gangster”. It is a bit surprising that a director, who has given better films such as Alien (1979) and Blade Runner (1982), has selected two of his lesser films for promotion. But Ridley Scott has the special Knack of jumping from one genre to another genre but still making the film as entertaining as the others. He could well have promoted Kingdom of Heaven (2005) as “From the director of Gladiator and 1492: Conquest of Paradise” or boosted the ratings of the drama A Good Year (2006) as “From the creator of Thelma & Louise and Matchstick Men”. This time he sticks to the action genre following the moderate success of American Gangster (2007). In this age of advanced communication and enhanced methods of surveillance, it sounds too easy to detect or monitor a geographical area or even one single person. But Body of Lies reveals otherwise. It tells us that it is not about “In spite of” but about “because of”. Sometimes, it is the concealment of information that helps one gain upper hand and it is the very availability of information that makes one group vulnerable. Hani mentions in the film that America cannot keep a secret because it is democratic. Indeed, it is the ones with the most primitive methods of communication who maintain anonymity and ones like Sadiki fall prey to higher power in the domain. Russell Crowe time and again comes out with these wonderful supporting roles that one wonders why he doesn’t act more often and in bigger films. His wry wit and over the phone elegance may just earn him a nomination this time too. But the pick, and naturally, is Leo DiCaprio. After his peak of performance in The Aviator (2004), one expects him to cruise through this one and he does. Although not a groundbreaking or fresh role for him, the energy and intensity he infuses into the Ferris character leaves one trembling at the end of the film. A film that involves communication and, more than that, struggle for it naturally involves various media of conversation and correspondence and the sound department makes crystal clear distinction between, phone lines, walkie-talkies, rendezvous, TV telecasts and footage tapes with élan. And the rhythmic sound editing aids it big time. It is such a good experience watching it in the big screen with a good sound system. The score of the film also needs a special mention and though conventional, Marc Streitenfeld tries different sounds and tempos that separate it from other war scenes and chase sequences. With a runtime of around two hours and a half, the film is a bit excruciating to watch especially with its incessant thriving on torture scenes, which in other ways do aid the film’s feel. But let’s face it, Ridley Scott’s biggest advantage is the script he churns out with his writers and that is a job half done. William Monahan (The Departed (2006) fame) adapts David Ignatius’ book well and maintains the pace of the film and does not corrupt it with unwanted twists and turns. Even some important plot details are suitably kept off-screen. A break from the overdose of superheroes this year, it is good to see the normal ones struggling to live for a day. Body of Lies may not be the starting point of the sober films that usually hit the screens in the late part of the year, but definitely serves as the gateway to better films that are going to reap the awards. dei looks like a good film….read your review even before watching!! !